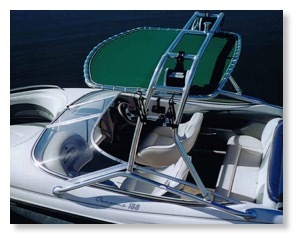 Pro-Line has been building the finest marine accessories since 1983. It's no wonder they are fast becoming known for excellence in wakeboard tower design and construction. ✓Functional - Pro-Line's innovative mid-foldingtm design allows the structure to maintain a large footprint, while minimizing its overall height when folded.